What’s Ozone and why would I want it? Ozone is active oxygen, O3. Ozone occurs naturally in the earth’s atmosphere to protect us from the sun’s harmful rays. As single oxygen atoms are very unstable, they travel around in pairs which are written scientifically as O2. Ozone is made up of three oxygen atoms written as O3. When activated, it is called Triatomic Oxygen. This unstable for of oxygen creates oxidation when it goes back to its more stable form of O2. Oxidation is “shocking” the pool but not with chlorine (we regularly shock pools as part of our regular maintenance). By having an ozone system on a pool, one will use less chemicals, less chlorine and have pool water that looks, feels and smells better. 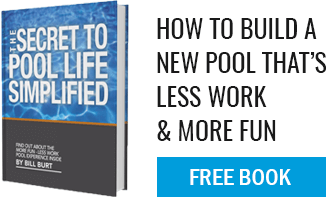 Pool owners who are concerned about the harmful effects of chlorine will be interested in reducing chlorine levels in the water. Olympic pools are generally ozonated.